This video is an introduction to what we do. If you have any questions, please ask! I’ve always been hesitant to share all the “secretes to my success”, but today is your lucky day! Ultimately photography is art and not everyone will have that “special touch”. For the rest of us, simply following a few rules of thumb will help you take better photos and sell more real estate! You’ve probably noticed that your camera or even your iPhone likes to insist that you play tic tac toe every time you go to take a photo. 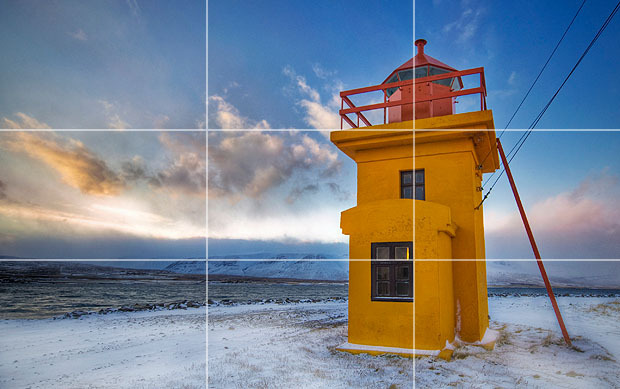 However, that annoying grid can instantly make your photos better. That gid represents the “Rule of Thirds”. 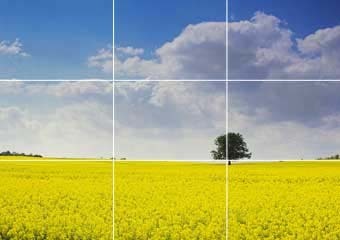 For what ever reason, our eyes and brain respond to visual stimulation better when it fits into the rule of thirds. Always be sure to leave that grid on and try to put points of interest on the spots where the lines intersect on the grid. For photos that are looking into a room or at an object straight on, match the horizontal lines. If you are at an angle to the room or an object, attempt to align the vertical lines. New Gadget Day At Sphero! stop the madness and be sure to have them call SPHERO! Here is a quick example of a couple photos I shot to test the lens out. These photos are raw but gives you an idea of how beautiful the tiny spaces can look! Christy is a third generation Realtor and Shawn has extensive experience in design and programing fields. Their virtual tours were developed when Christy got her start in real estate while living in Peoria IL in 2006. A competing firm offered an interactive floor plan to clients so the couple developed their own version to better compete with them. Eventually in 2007 they decided to offer our virtual tours to other agents and from there they quickly realized they had something special with their floor plan virtual tours. Their small company snowballed until 2008 when they decided to move back to central Missouri to be closer to family. Christy joined her family at Advantage Real Estate in Moberly and while Shawn served as a tech director at a local church. They continued to offer interactive floor plans exclusively to Advantage Real Estate and over the past 6 years the small company has flourished and Christy alone staked a claim to a 15% market share within their local MLS. With such a strong real estate background we are dedicated to remain gimmick free and simply offer a service that top Realtor’s can appreciate. When you employ sphero as a part of your listing strategy we save you time! No more taking photos, measuring rooms or even calculating square footage. While your competitors snap a couple photos with their cell phone your clients will be blown away when you tell them you hire a professional firm to photograph, measure and create a custom online open house for their property. Connect Your Tours To Facebook and/or Twitter!